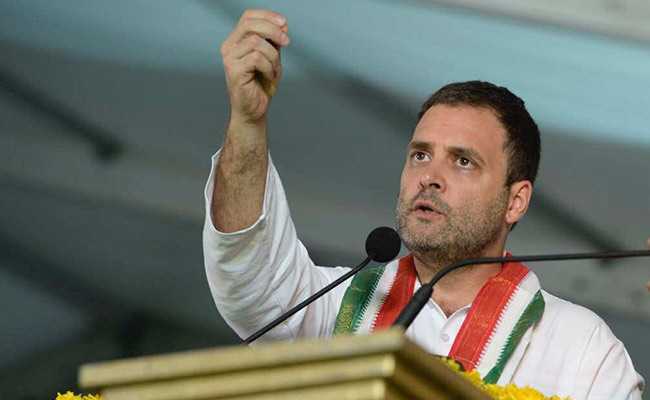 New Delhi: To boost the Congress's campaign for the forthcoming Gujarat assembly elections, party Vice President Rahul Gandhi has started his three-day roadshow in the politically significant Saurashtra region. 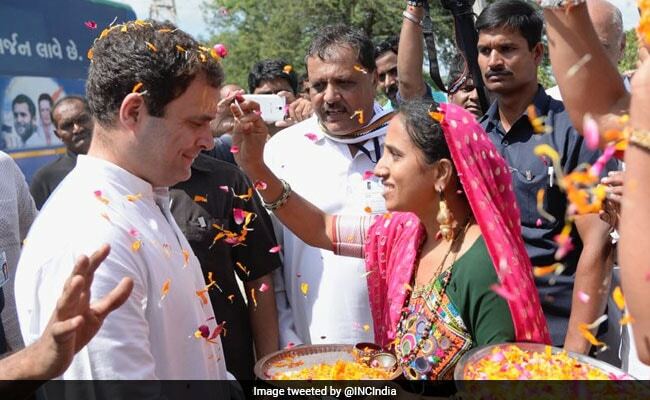 The Congress Vice President will begin his Gujarat roadshow after visiting the Dwarkadhish Temple in Dwarka. 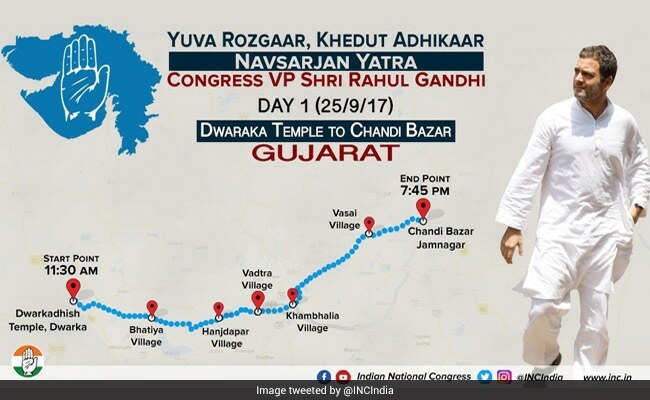 He will later move through various parts of Dev Bhoomi Dwarka district on the first day before stopping at Jamnagar. 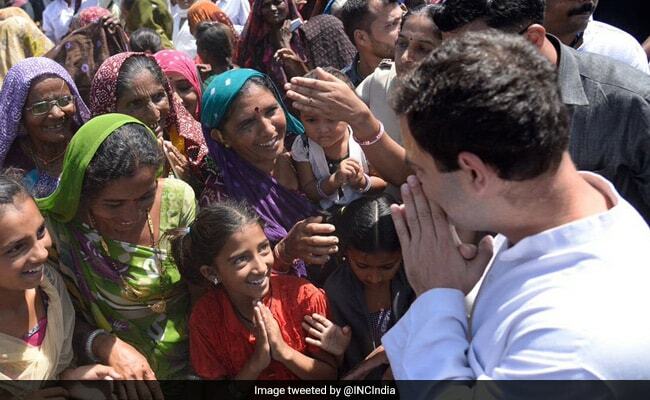 Over the next two days his roadshow will move through Jamnagar, Morbi, Rajkot and Surendranagar districts. 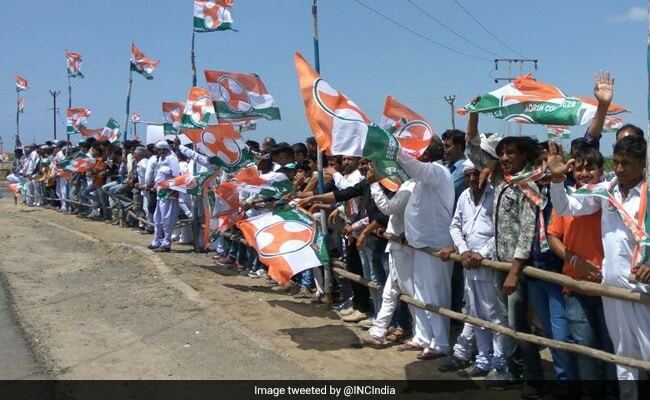 People of Gujarat coming out to meet Rahul Gandhi along the Navsarjan Yatra route. 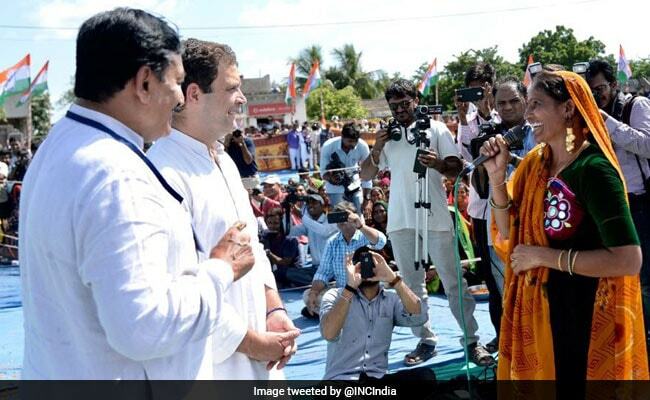 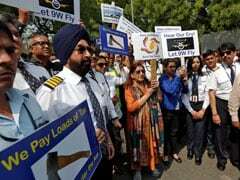 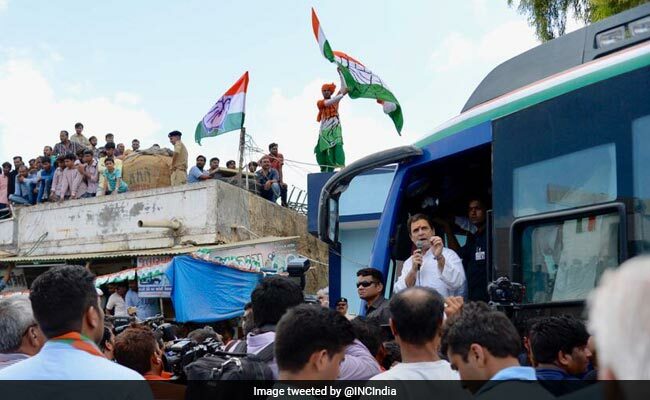 Hardik Patel, the face of the Patel or Patidar agitation in Gujarat, this morning welcomed Rahul Gandhi in a tweet as the Congress vice-president arrived in the state for a three-day election campaign tour in the politically significant Saurashtra region. 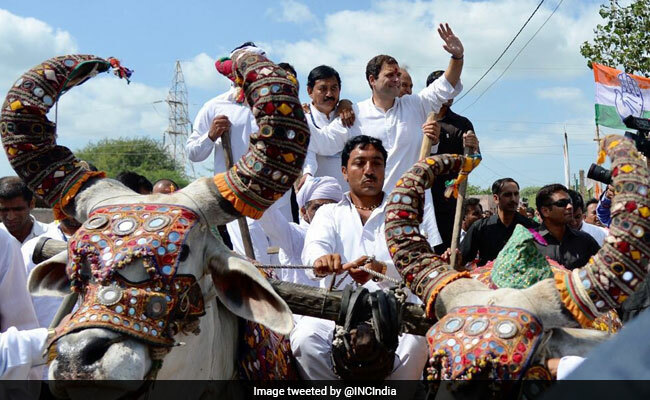 Congress Vice-President Rahul Gandhi begins three-day Navsarjan Yatra from Dwarka. 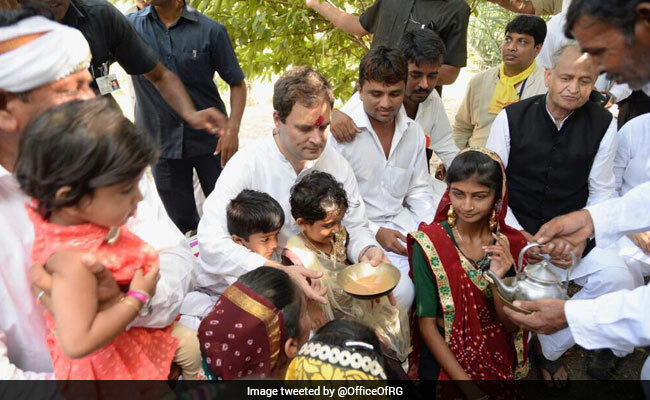 He will address farmer, youth and demonetisation issues. 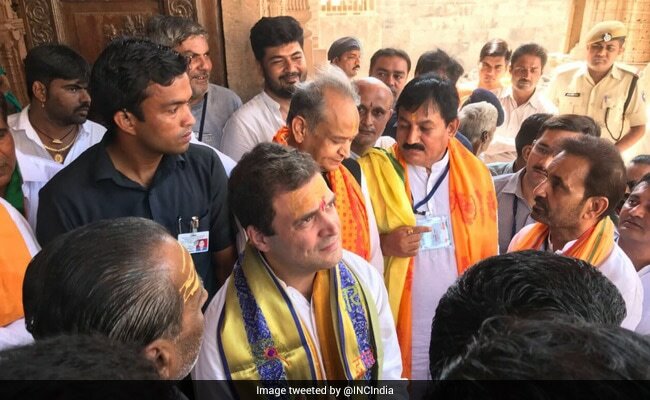 Rahul Gandhi at Dwarkadhish Temple. 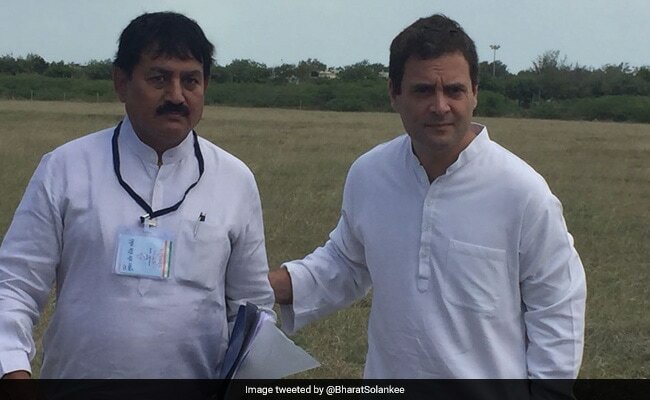 Rahul Gandhi with Bharat Solanki, President of Gujarat Pradesh Congress Committee at Mithapur Airfield. 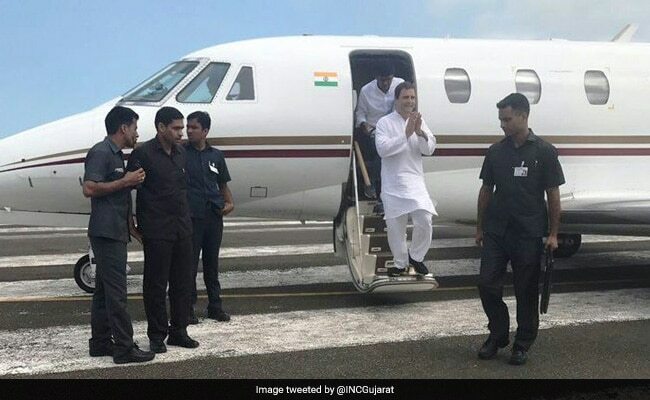 Congress Vice- President Rahul Gandhi arrived in Gujarat for his three-day road show.